Audi is a manufacturer that's known for creating elegant and sophisticated vehicles. The new S4 is no different. This popular sport sedan is beautifully designed from the hood to the rear. It features sleek accents that make it stand out from the crowd. 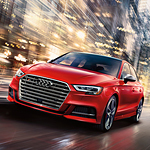 When you take a look at the S4 at Audi Atlanta, you'll immediately notice the aggressive front grille. The SingleFrame grille is large and in charge. It utilizes a hexagonal shape that's wide and tall. Horizontal slats covered in shiny mirror chrome give the grille an athletic appearance. The Audi A4 allroad has kept thousands of people loyal to luxury wagon style vehicles for years and are converting many other car buyers as well. Thanks to many new and inventive design features, the choice has never been easier. Audi Atlanta stands by all of our vehicles but we are especially excited about this all new design! One of the first things that drivers will notice about this vehicle is how much space is available. 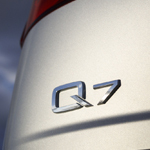 What is the Audi Q7? The Q7 is Audi’s version of the full-sized luxury crossover SUV. The “crossover” reference suggests that the vehicle is built as a Service Utility Vehicle on a passenger car frame. That designation means the car is designed to carry seven passengers and cargo on the open road but is rated only for light-use in off-road situations. Our team at Audi Atlanta understands that true luxury vehicles combine aesthetics, posh comforts, and performance so the driver is ready for anything. The Audi A3 Sedan, a favorite compact luxury sedan, exemplifies a luxury vehicle that has everything including excellent performance. It can be easy for people to dismiss the features of automobiles as mere bells and whistles. However, there are a lot of features that actually enhance the efficiency and the safety of the ride for the driver and passenger as well as others that share the road with them. It is important to take some preventive steps towards protecting your vehicle. This will reduce your risk of having your vehicle broken into or stolen. The majority of new vehicles on the market right now come with some great safety features. These features are designed to keep you safe while on the road, but they can also decrease the risk of your vehicle being stolen.